Home / Uncategorized / Virtual Reality in the classroom, but how? Believe it or not, but several interesting VR applications (that can be used in education) are already available to you. For example, Google Expeditions is an impressive application that allows for social interaction during the experience. Through a WiFi connection, all students appear in the same virtual environment and experience the same content together. Simultaneously, the teacher can point out any important content of the environment with arrows by using a tablet connected to the VR experience. As such, the teacher is able to connect the educational material with the virtual environment. Aside from ready-to-use VR applications, students can also utilise Virtual Reality as a tool to design with. Such a method of designing can prove very useful, especially for educational programs focusing on 3D-design. For example, students can present self-designed products to their clients in VR. Alternatively, students could, after creating structures in SketchUP or AutoCAD, visit and walk around in their own constructions. Yet another example would be the use of 360°-cameras to bring different professional practices directly into the classroom, allowing teachers to connect educational material with actual workplaces. A different way to experiment with the use of Virtual Reality in your classroom would be to create your own lesson(s) about VR. In regard to media literacy, helping students familiarize with new technologies is an important part of education. As such, children can be taught that, while it is a lot of fun to play video games with, experiencing VR should be done responsibly. Not only would they learn about the ways in which VR is being applied to different fields, but they could be invited and challenged to think of new, innovative ways to use VR for themselves. Lastly, giving them the opportunity to start experimenting with creating and developing with Virtual Reality will help them realize they can be more than a consumer; they can be a creator! 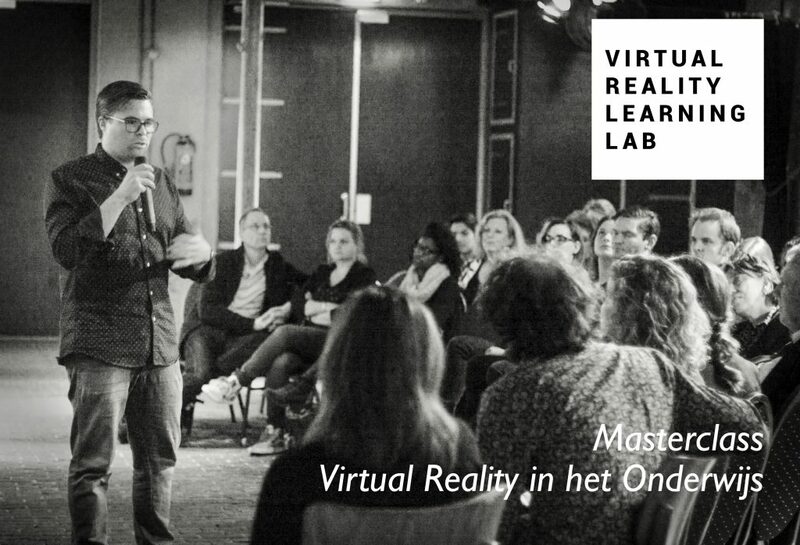 Wil je meer weten over de mogelijkheden van Virtual Reality in de klas? Kijk dan eens naar de Masterclasses die we aanbieden, of schrijf je in voor onze nieuwsbrief.